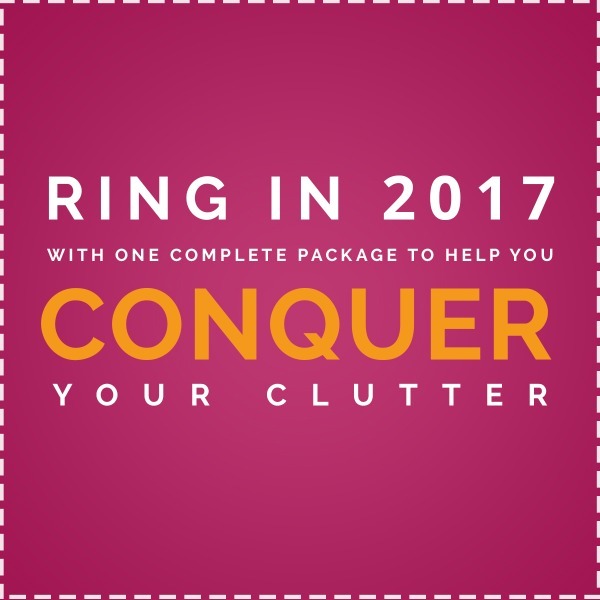 Get Organized in 2017 With The Conquer Your Clutter Super Bundle! 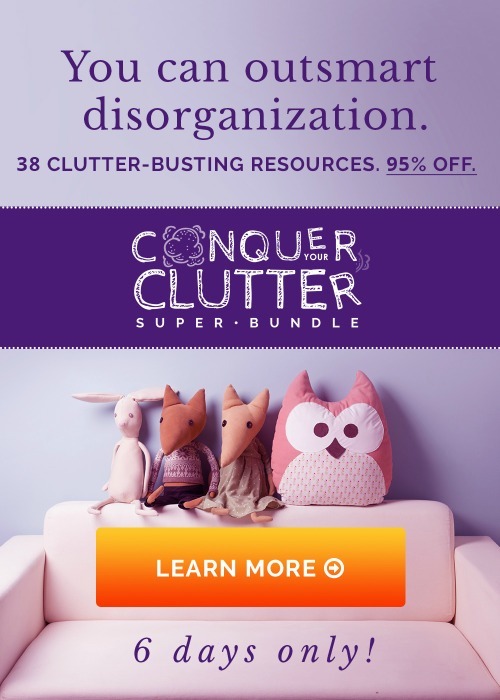 | From Overwhelmed to Organized: Get Organized in 2017 With The Conquer Your Clutter Super Bundle! 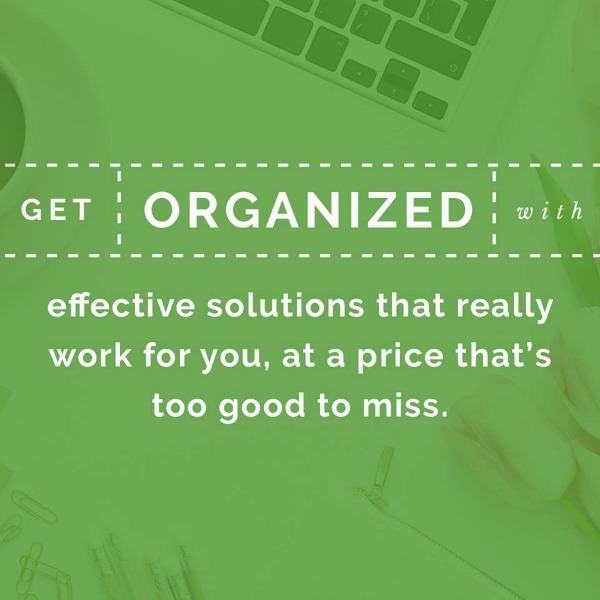 You’ve got great reasons for wanting to be more organized. You want the best for your family. 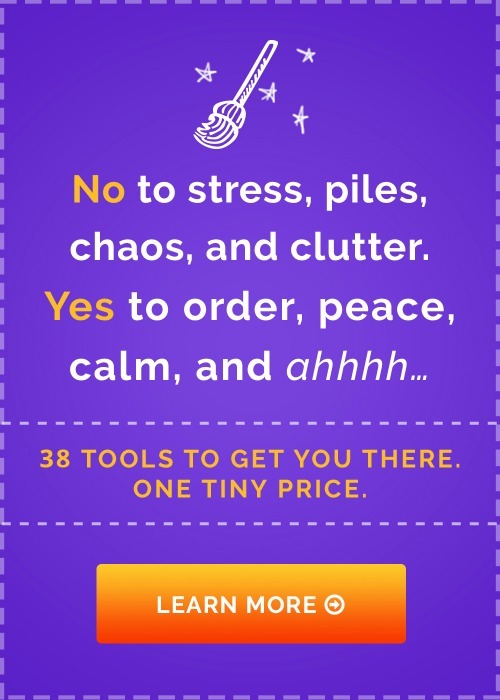 You want to teach your kids to live in calmness, not chaos. You want to be patient without losing your mind in the craziness of so much stuff. And you just want to savour the time you have, instead of running around chasing clutter. I know what it’s like to feel that getting organized shouldn’t be so hard, and the answer definitely isn’t to keep wasting money on more storage containers or pricey planners! What if you could learn from a group of organizing gurus all at once? Regular people who’ve found practical solutions to their everyday struggles, and want to share their best tips and tactics with you in all the areas you find most challenging? It's such a great deal because several of the resources are individually worth more than total price of the bundle. Even if you only read a few of the ebooks or take a few of the ecourses, it's a great value. 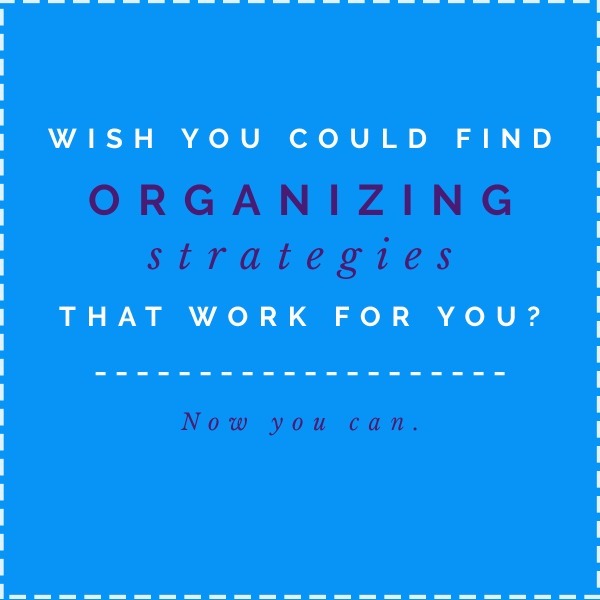 And as a professional organizer I can tell you, once you start to apply what you learn from this bundle, you'll save time and money and have more energy to enjoy the people and activities you love! The most important detail, though, is that this bundle is available for just 6 days! After Monday night, January 30th, the sale ends and you’d have to buy all of these products individually. I'd hate for you to miss out, so click HERE to learn more or buy the bundle. No one should have to feel overwhelmed one more minute because it costs too much or they can’t get the help they need. By finding systems and strategies that really work for us, our home and daily life is much calmer than it used to be. There are SO many reasons people feel overwhelmed. This bundle can help you with yours! 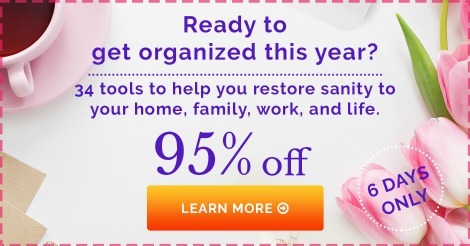 What are your reasons for wanting to declutter and get organized?